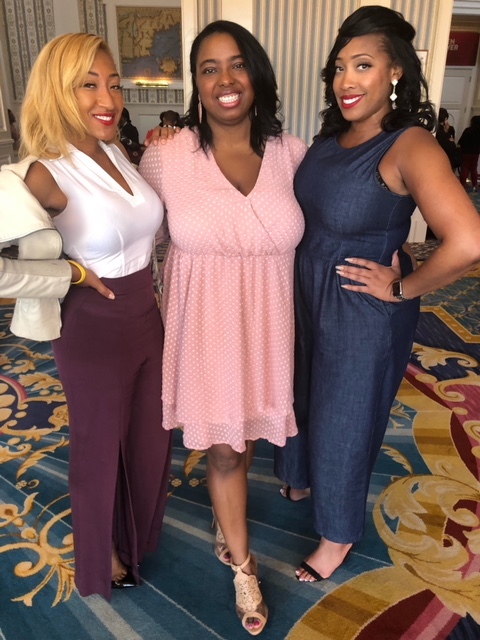 So yes sitting in seminars can be inspirational, but in Day 3 of the BE Women in Power Summit we were reminded that all work and no play make for a pretty boring conference. By mixing dynamic speakers with fashion highlights, opportunities to relax and network, fashion therapy and some magical adventures only Disneyworld can provide you take a conference from good to extraordinary. The day kicked off with something that really got me ready to launch on chasing my dreams. 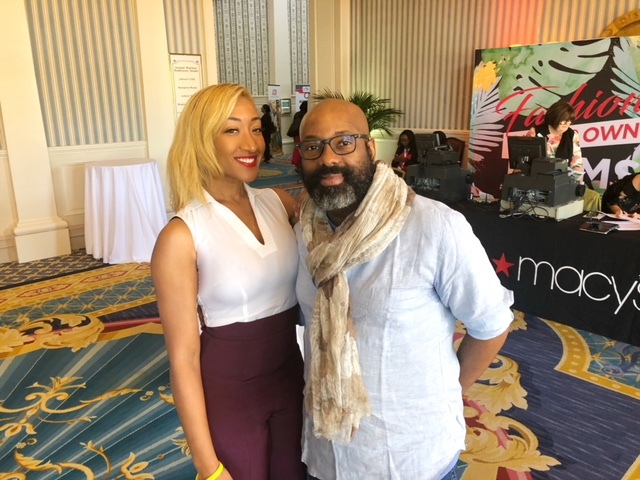 In a conference tailored for women we had our one and only male speaker, none other than Richelieu Dennis, the founder of Shea Moisture and new owner of Essence Magazine. His harrowing rags to riches tail is a true example of the American dream and a testament to why hard work and perseverance will always be the stepping stones to greatness. 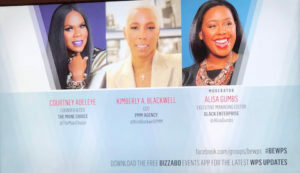 From refugee to street vendor to CEO of a game changer in the beauty market for women of color and now the owner of one of the most impactful magazines for black women, Richelieu’s life has all the makings for any great success story. But the true awe of the story is how he has managed to travel so high and remain so humble and manifested things in his life many would never dream of all starting. It all began with the birth of Shea Moisture and first identifying his guiding star. This foundational principal in which both business operates to not only launch his business to places unknown but also to anchor it to its customer base as he saw his grandmother do as a provider for her family and leader of her village of Sierra Leone. Of course storms always test any philosophy so when its recent branding problems arose they were able to use it as a guiding light back to who made them, them…Black Woman. It also led them to share just how deep the love for their base was rooted as they spent years reinvesting in communities and the customers that grew the company from a homemade, handmade shea butter production company to a global beauty brand. Through these decades of struggle Richelieu transformed his love for our culture to appreciate it as an asset. Not one to be created and driven it only to have others monetize it but to own reclaim our stories from the narrative, to the distribution and capital to lead to economic independence. Needless to say hearing this story is a true reminder that you can indeed reach to the stars if you chart a path to success and stay determined on your journey. Outside of a great start from Richelieu and amazing seminars the Women in Power conference made sure to mix in some fun. Work life balance can be a challenge and the seminar took time to remind participants you have to take time to prioritize and appreciate you. 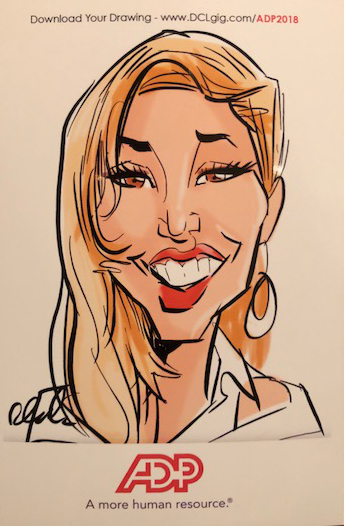 From massages to caricatures to even a full on fashion show put on by Macy’s Day 3 of the summit really was a great celebration of women. Whether you spent that time in personal business or financial coaching, or checking out a seminar or chatting with a friend that day allowed you to really soak in some gems learned in the seminars and reconnect to some neglected power in you. To add a magical extra the closing ceremony was a special night at the Animal Kingdom Park at Disney. 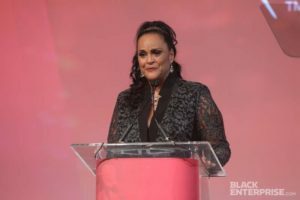 From future to fashion to relaxation to magic the conference offered so many little pieces of life that I needed to feed my soul…Well done Black Enterprise, the conference is something you should not miss!!! Value Genuine Connections: At a certain point in your life there is a renewed excitement about making new friends. At this age the mystery around it is gone so you can make genuine connections without the need to put on airs. You can just be uniquely you and attract those who find those qualities to be a win. I was able to meet people who were not just great companions, but were a compliment to the skills I bring to the table. Hop in on the conversation: While it may seem like nothing ever changes the truth is that honest genuine communication can change the world. A huge part of the summit was to get the conversation started. Not just on stage but by presenting information powerful enough it kept guests discussing it between breaks and during dinner. Encouragement counts: Ever wonder why we love anthems, something like a chorus running through your head pushing you forward to put you in the mood to conquer the world. The same is true in a room full of powerful women using their power to propel you further. To think harder than you thought, to challenge yourself to do more, to be surer of your steps, even into the unknown. While it is listed as third this may actually first as it is one of the most powerful bonuses of the Women in Power Summit as even from strangers the chorus of yes you can has an amazing ability to help you see yourself in a new light. You are the brand: Whether you are an entrepreneur or corporate climber the heart and soul of any career path you set off on is you. By being careful on how you curate the brand of you work to ensure your works speak for you even when your name is unknown. The Power of Numbers when used to give knowledge: At the Accenture seminar the facts were put on the table about fighting wage discrepancy. 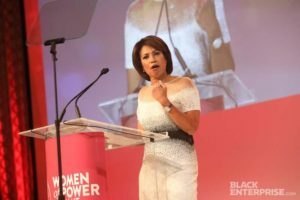 What was even better is that not only did they show some astounding numbers as to the current status of wage disparity for women and in particular women of color, it also worked to use this information on what we can do for change. Yes while the facts still show black women make $0.54 for every dollar a white man makes we also learned that transparency has a direct impact on addressing unconscious bias so you can both identify advocates and most importantly advocate for yourself. All this knowledge can work to effectuate change in the lives of the participants. 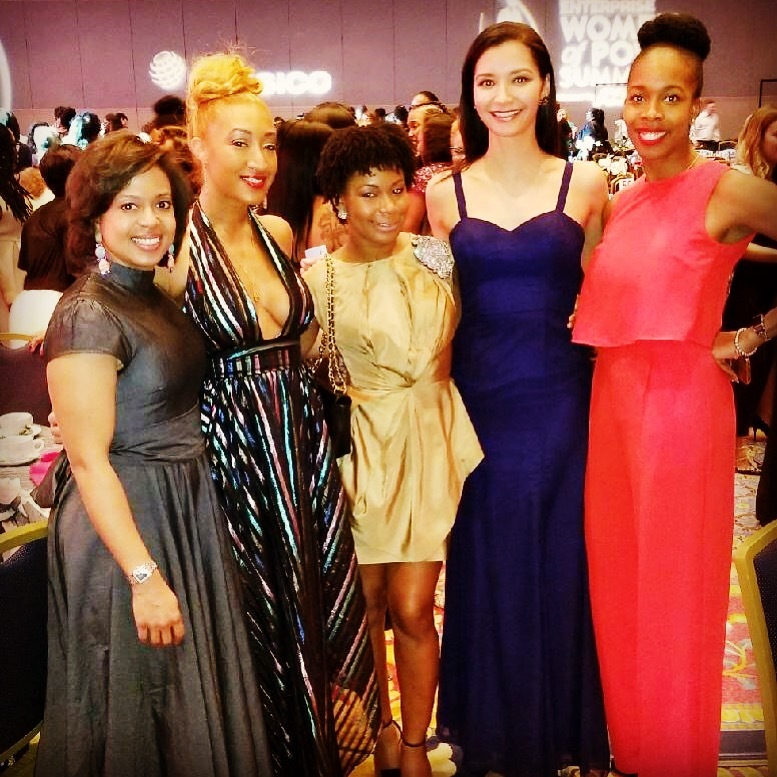 No need to stop with just one day of fabulousness as the Black Enterprise Women in Power Summit. And to kick off the first full day of the summit they found the perfect way to continue on the tremendous energy of night one. Yes, they brought back the speaker responsible for the fire at the end of the night of course! 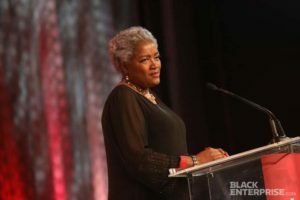 Day 2 of the Black Enterprise summit started off early with can’t miss segment with the phenomenal Donna Brazile. Yes we were again pulling ourselves up by our vaginas and getting ready for a big dose of real with Ms. Donna. 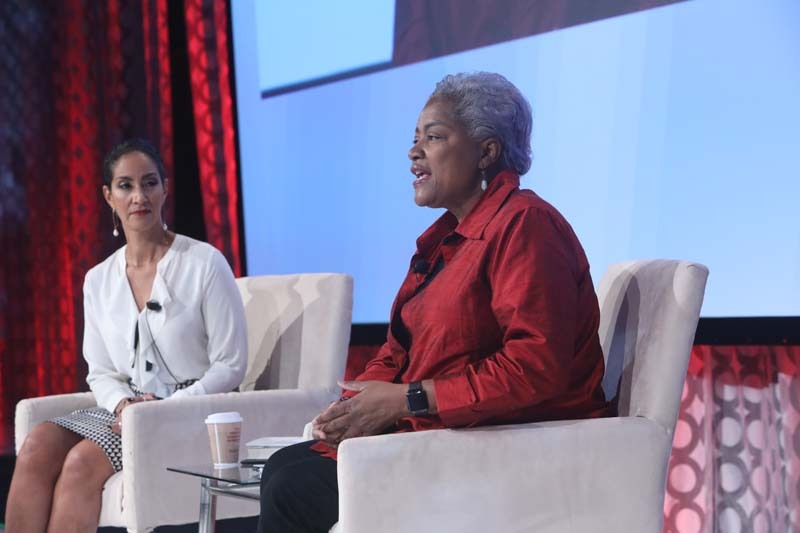 With a pinpointed focus on where we can go and grow to next as a community Donna Brazile offered strong words in where we go from where we are now. 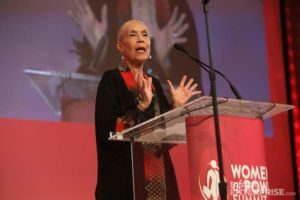 Simply put she works both in the present and in the future, wanting the community to learn from leaders of today while also looking for the leaders of the future. That often means learning the game over and over again to avoid being left behind. Issues like being smart about cyber hygiene perfectly demonstrated her strong warning of taking lessons of today proactively instead of reactively. 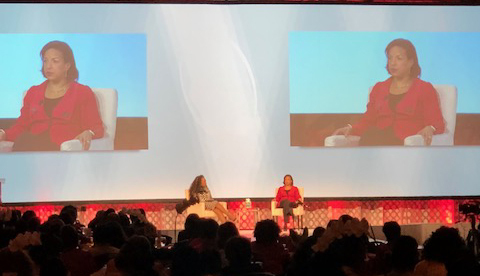 To follow up on all that fire early in the morning, the Summit brought out some real heavy hitters for up close and personal conversation about success with Edith Cooper, Executive Vice President for Goldman Sachs, and Glenda McNeal, President of Enterprise Strategic Partnerships with American Express. 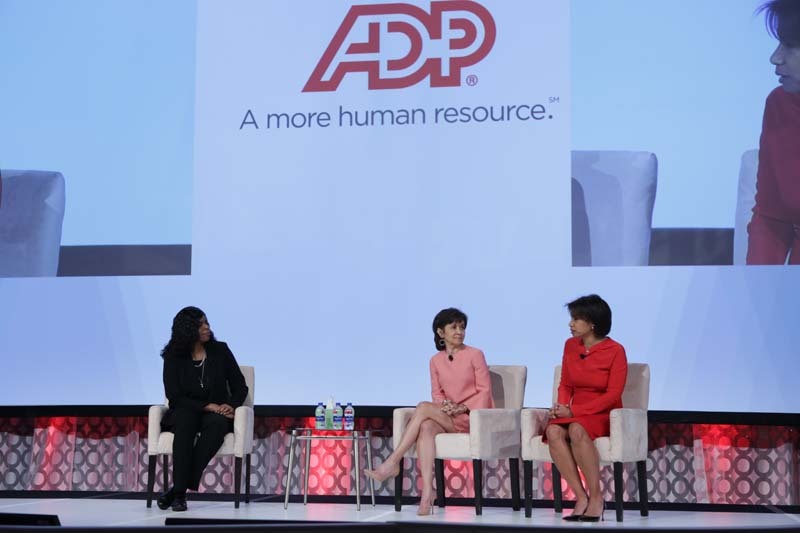 Both women have rose to astronomical levels in corporate America, but still took time to share some of the gems of their experience. Ms. Cooper, steady, consistent, and driven at for Goldman Sachs proved that indeed risk can be some the best advancement advice, even in a very conservative environment. Her ultimate success had several critical pivot points including the decision to make an international move with her family in tow. Throughout it all she kept her personal internal growth at the heart of her decisions, ensuring departure choices she made worked to inspire and develop her. 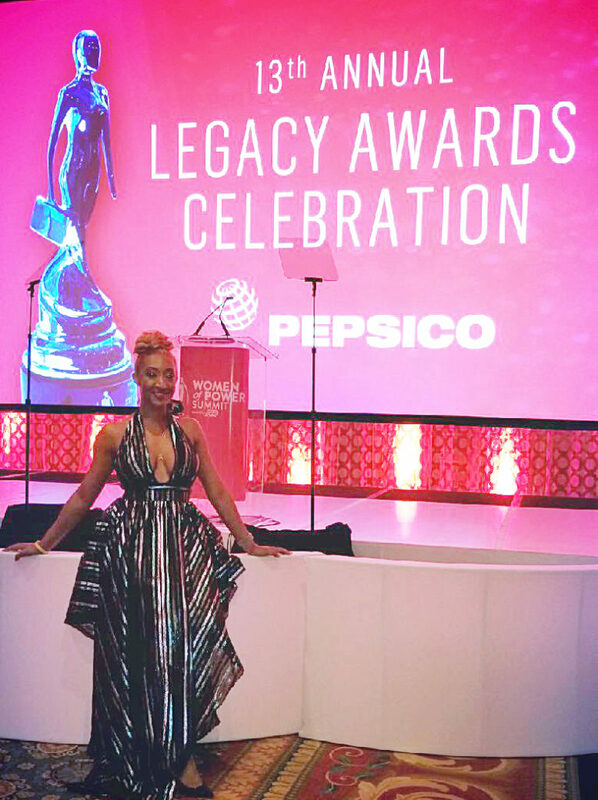 The process left a lasting impact on how she prioritizes being present and intentional in her work and pairing that intention with preparation and engagement made sure her mark. As tables were filled with other woman who supported her and were supported by her at Goldman it was clear her mark would be left not just in her company but also in the people who rose with her and even after her. This focus allowed her to build a legacy that took the time to pay attention to people, trusting in how empowering these true and honest interactions can be in building extraordinary greatness in others. Mrs. Glenda McNeal showcased a true “I am woman, Hear me Roar” philosophy based in action not words. This passion assisted in moving her away from the typical step up to role at American Express and instead propelling her all the way to the top in an untraditional matriculation through the credit powerhouse. She offered the advice she has garnered in moving to success from the inside out. Her guide to moving up and moving out of your own way starts with believing in you. By centering who you are you can set a pace to move forward and not blocking off the potential of the future by setting boundaries of just how far you can go. Next she advised to choose courage. Ultimately balancing the demands of being a brave, daring, risk taker with having humility and being vulnerable provide lessons on both sides of the coin that are critical to conquering uncharted territory. Her final words were of encouragement to strive for intentional living where you can be deliberate not just in how you what you do but in your time. Being present in these fleeing moments in time as that is the most valuable resource of all. By women in living to their best authentic self that not just makes for personal development, but for a legacy you can fill proud of. Donna Brazile, Edith Cooper, and Glenda McNeal shined a path for not just hope and inspiration but to light a fire under us that any goal is possible when you do the work required to get there.